The Company, based in St. Paul, MN, is a niche, non-asset based third-party logistics (3PL) firm that provides highly-customized logistics solutions to the healthcare, financial services, technology and home delivery industries. The Company focuses on transportation management for freight which has unique characteristics that require customized, secure and time-dependent solutions such as (1) highly sensitive, confidential or regulated materials (e.g., HIPAA, Protected Health Information (PHI) and Personally Identifiable Information (PII)), (2) products that require white glove, inside delivery and installation (furniture, fitness equipment, computers), (3) high-value and mission critical products (servers and data center relocation) and (4) freight related to special projects (trade shows, healthcare bid packages and enrollment road shows). The Company provides its services through a network of third-party carriers operating under their own authority. Their broad suite of services includes domestic freight management, truckload and LTL brokerage, value-added warehousing and fulfillment services, international forwarding, first mile/last mile/white glove services, trade show management and expedited movements. Visit www.andersoncargo.com. 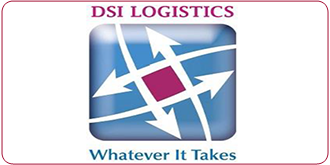 DSI Logistics is non-asset based third-party logistics (3PL) firm that specializes in "white glove", home delivery and installation of large, non-conveyable goods such as furniture, appliances and electronics. DSI provides its final mile logistics solution to retailers and manufacturers through a network of independent haulers. Visit www.dsicompanies.org. 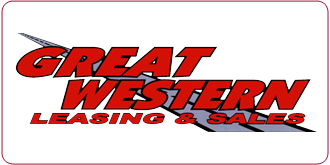 Great Western Leasing and Sales, LLC, based in Irvine, CA, is a leading full-service, integrated solutions provider to the flatbed and specialized trailer industry. The Company operates a network of strategically located facilities in the Western United States which offer customers a broad range of sales, financing, leasing and rental options for new and used trailers, as well as after-market trailer repair and maintenance. The Company distributes trailers for a broad range of manufacturers including Fontaine Trailer Company, Wilson Trailer Company, East Manufacturing Corporation, Manac Trailers USA, XL Specialized Trailers and Side Dump Industries. Visit http://www.greatwesternleasing.com. 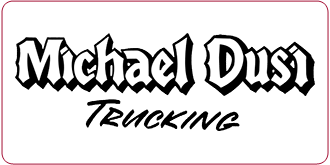 Michael Dusi Logistics, based in Paso Robles, CA, is a niche, third-party logistics (3PL) firm that provides a broad suite of specialized solutions to the wine and craft beer industry. MDL was founded over 20 years ago by Michael Dusi as an extension of the Dusi family’s 90-year history in the Central Coast of California wine region. MDL’s suite of logistics services includes value-added warehousing, direct-to-consumer fulfillment and wine clubs, regional trucking and brokerage. The Company provides its solutions to a broad group of vineyards, wineries, breweries and distributors through two strategically located, temperature-controlled warehouses with over a 1.0 million cases of storage capacity and a diversified, flexible tractor and trailer fleet which includes flatbeds, tankers, refrigerated, dry-van and heavy haul trailers. Visit www.michaeldusitrucking.com and www.dusiwinewarehouse.com. 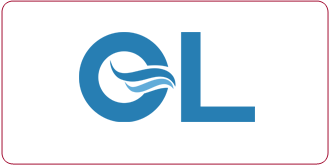 OL International Holdings is a non-asset-based logistics company providing ocean and airfreight forwarding solutions to over 1,000 customers worldwide. The Company is based in New York with offices in Georgia, Illinois, New Hampshire, North Carolina and Ohio. Visit www.ol-usa.com.